At Faion Landscaping and Snowplowing we provide the following services to our clients: cutting and trimming of lawns; tree and shrub care; cultivation of beds; planting of annuals, shrubs, perennials and trees; installation of interlocking stone, natural stone, concrete, gravel, mulch, retaining walls, water features, planting beds; fencing and various other landscape construction improvements. 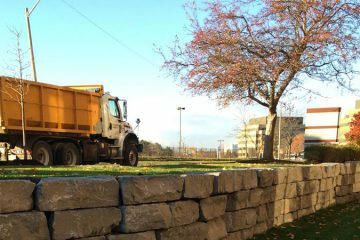 During the winter months we have all the necessary heavy equipment and vehicles that will keep your commercial/industrial property clear of ice and snow. We've served residential homes, commercial and industrial gardens as well. We only take on the quantity of work that we can handle at the level of service that we are accustomed to providing. 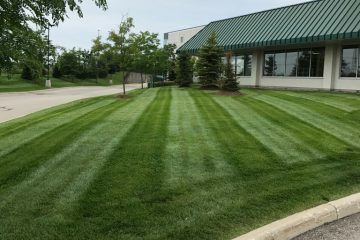 Faion Landscaping & Snowplowing staff are fully licensed and insured to assist with your landscaping needs. 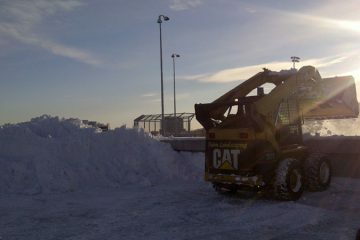 We own our own equipment, which allows us to respond to urgent snow removal requests.